After Meghan Markle's wedding this summer I have been obsessed with all things royal. I'm still bummed that Harry didn't pick me but anyway, I'll be the bigger person and wish them well. The time to release the ultimate purple pepper spray in her honor - and this one we call 'Duchess.' It's the perfectly-sparkly, super-majestic purple pepper spray covered in dozens of tiny rhinestones that just looks OMG! SO CUTE on your bag, backpack, or dog leash! I mean who doesn't love a good purple, the color of wine, lavender, and grapes (that make wine). Mmmm wine. Pepper spray has been produced in all sorts of colors over the years but purple pepper spray is REALLY having its moment. 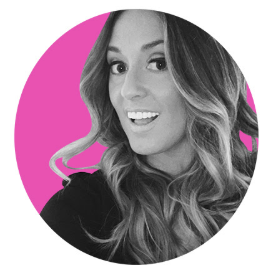 With the launch of Duchess, we quickly got it picked up on Home Shopping Network (HSN) and into our network of thousands of independent retailers. Very quickly, this purple pepper spray has become a fast fan favorite. Yes there's pink, and there's black, but purple is so popular I think because it's also the color of so many high schools and colleges - making it that perfect go-to gift for that college-age girl who you love and want to be safe! 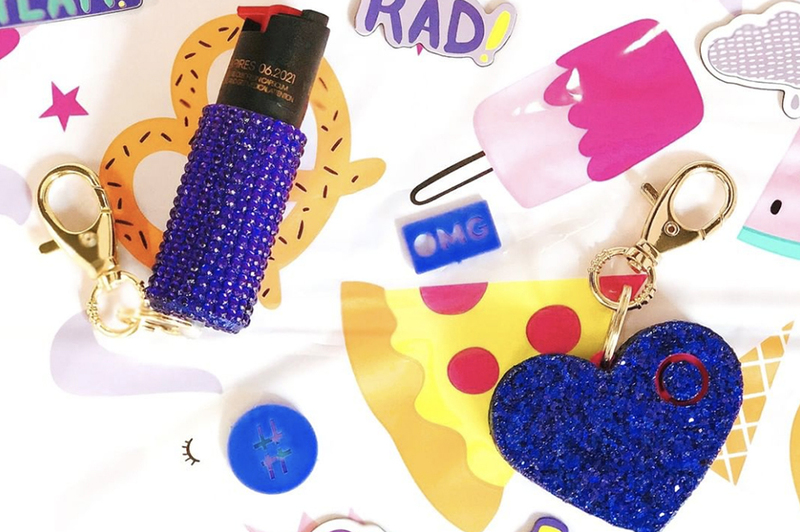 We've even launched a purple glitter pepper spray that lives in our Super-Cute Safety Stuff collection, available on Amazon.com, Walmart, and select retailers nationwide. Speaking of that, purple pepper spray is only one of the TONS of incredibly cute products in our personal safety collection. Of course, there's also rose-gold, silver, gunmetal, and mint pepper spray. Have you checked 'em all out? I bet you know a gal who LOVES purple! Or maybe a friend/sister/daughter that is an LSU Tiger? TCU Horned-Frog? Kansas State Wildcat? She'd love a purple pepper spray or personal alarm from blingsting for sure! Also available is our purple personal alarm and purple glammer!